Homeowners willing to acquire a property in Pune must have a look at NG Rathi Madhupushpa. The residential complex has been developed for the luxury-seekers, and you will love the range of amenities that the complex brings you. The residential complex houses 160 apartments, shrouded by greenery. In case you are planning to get a home in Pune, you can consider buying an apartment here. The social infrastructure in the area is well-developed. The residents can get an easy access to the important schools, colleges, places of entertainment and hospitals in the area. The commercial importance of Pune is also on the rise. If you are willing to buy a quality apartment in the city, you can get a home here. The prices of property in Pune is on the rise. Investors from various cities of the country are interested in buying these apartments. You can cherish your lifestyle among the greenery in the complex. The strategic location of the residential complex is the key reason behind the popularity of these homes. The IT sector in Pune is fast developing, providing a lot of employment opportunities to the residents. This is one of the key reasons behind the extensive popularity of these homes. You can enjoy this exposure to the employment opportunities, when you get an apartment in NG Rathi Madhupushpa Pune. Besides, the well-developed transportation system in Pune ensures fast connectivity to the important areas for the residents. The Mumbai-Bengaluru Highway connects the area to the important places. The commercial zones in Pune are also located in close proximity to the estate. The apartments are spacious, and the elegantly designed interiors will blow your mind. The residential complex comes with a garden and sitting areas for the senior citizens. Besides, you can enjoy your time in the clubhouse and amphitheatre in the estate. The health and fitness enthusiasts will enjoy a good time in the complex. The amenities for the residents include swimming pool, gym, various indoor and outdoor games and so on. The residents can get ample parking space and you can get access to the party lawn. Children can play in the deducted play areas in the complex. People with an inclination for green living facilities will enjoy a good time in the complex. 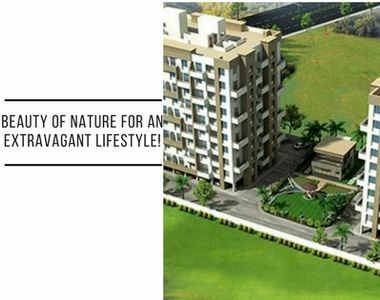 Each flat has a solar water system and the estate has been designed in an environment-friendly manner. It also comes with rainwater harvesting system. The residents can enjoy uninterrupted power and water supply in their apartments 24/7. The educational and healthcare infrastructures around the residential complex are well-developed. The residents can get fast access to the important schools and hospitals in the area. The places of entertainment, too, are located close to the residential complex. Several shopping malls, multiplexes, restaurants and bars are located close to the estate. If you are willing to home in this residential complex, this is the right time for you to invest. The NG Rathi Madhupushpa price is on the rise. You can buy a sophisticated home in the complex and live up to your housing dreams. Garden with Senior citizen sitout.